As we celebrate Pesach, Laurie Rosen will be our guide at another "late" Rosh Chodesh group as we talk about the holiday and liberation. What are we free to do now, and from what can we still set ourselves free? An evening of discussion and meditation awaits. All women are welcome to join us! 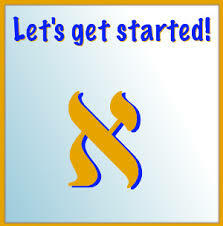 Have you been wanting to learn to read Hebrew but didn't know where to start? Join us for an informal class with a relaxed atmosphere! Learn the Hebrew alphabet, and how to read Hebrew. We will start from the very beginning-no prior knowledge necessary. Open to anyone 16 and older. Limit 10 students. PRESENTER: Sue Aft (please call Sue if you have any questions @ 703 785 6613). Classes will meet at Adat Reyim in the Rabbi's study, from 9:15-10:15 am on the following dates (7 weeks).February February 24; March 3, 10, 17, 31; and April 14, 28. Cost: $20 (for the book). Make checks payable to Adat Reyim. Please sign up by February 10 so we have time to order enough books. MUST REGISTER! Allen will share with us The Story of Birobidzhan, the autonomous Jewish District in the USSR, and Allen will also share his experience and impressions of the Republic of Georgia. It includes an historical overview and information on the Jewish community and sites. "Tell Me A Story: Legends From Our Tradition"
Please click on event to RSVP. How do we connect our ancient tradition to the demands of our contemporary world? What is needed for a renaissance in Jewish communal activity? Join Rabbi Schwartzer for an evening of learning that will combine classical Jewish source with contemporary communal questions. Monday through Thursday from 9:00 a.m. to 5:00 p.m. - Friday from 9:00 a.m. to 3:00 p.m.
To schedule an appointment with Rabbi Aft, please call him on his rabbinic study line at 703-866-5531 and leave a message. © Copyright 2014 Congregation Adat Reyim. All rights reserved.